Are You Ready To Expand Your Network & Your Influence? 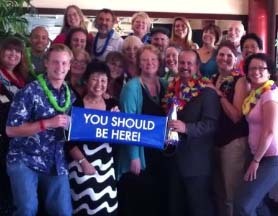 Surround yourself with motivated business men and women dedicated to helping move your business forward. You will instantly feel the energy of this connected and classy network of FUN professionals that are using Successful Thinkers to expand their influence, impact lives and grow their businesses. Join us for lunch, become enriched by our dynamic speakers and support the local East Bay economy. 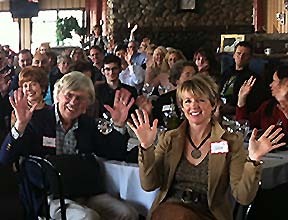 Thursdays, 11:30 am at Pasta Pelican Waterfront Restaurant in Alameda. Check the schedule for meeting dates and program details. Successful Thinkers Network is a group of like minded and committed individuals who believe people will buy or use product / service from people they know, like, trust and respect. Building relationships is key to the membership in helping others move forward. Our mission is to help you develop relationships that will enable you to find solutions to your business challenges. This unique networking concept is open to all professions and requires no membership fees or dues. Just support the local economy by ordering lunch. Bring a friend, everyone is welcome! Keep your business momentum through the summer by joining us on the 2nd Thursday of each month for our special business education and networking events. Come for the food or come for the view and leave with a network of like minded entrepreneurs committed to helping you grow your business.